List of Medical Colleges in West Bengal, Top Best Medical Colleges West Bengal, Courses. Students willing to be a doctor or a medical surgeon in future must be very intelligent as well as meritorious. A good score in Pre medical test is important for the students willing to enroll in medical colleges in west Bengal. Educational qualification of the candidate must be 10 +2. It is mandatory for the student to have science stream in higher secondary examination. The subjects which are mandatory to take are science, Chemistry, physics, Mathematics etc. In west Bengal there may be many medical institutions and hospitals to treat patients. But, demand for good doctors and physicians will never come to an end. Different types of curable and non curable diseases are still haunting people in the state of west Bengal. If the qualified doctors and medical students can contribute their talent in medical colleges in west Bengal, the state will be free from illness. 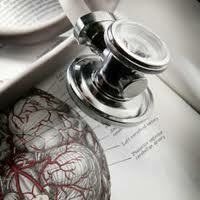 You can find wide variety of career option being a graduate in Medical field. You can either be a full time doctor with your own dispensary or can carry on with a job in one of the reputed medical colleges in west Bengal. A surgeon can earn a good amount for his family.